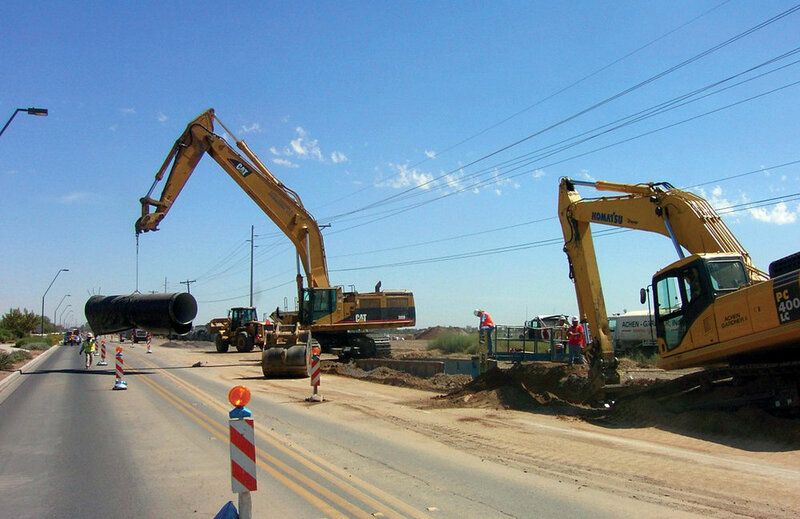 This project included the design, procurement, and construction of 13.5 miles of 48-inch raw water pipeline to convey water from the CAP Canal turnout structure (Ocotillo Road east of Schnepf Road) to the new South Water Treatment Plant just west of the intersection of Recker Road and Ocotillo Road. The Design-Build (DB) project team was solicited and selected through a single-step, qualifications-based selection process in mid-2006. The project required the design of a 13.5 mile gravity pipeline that could deliver 48 MGD to the agencies’ new joint water treatment plant. 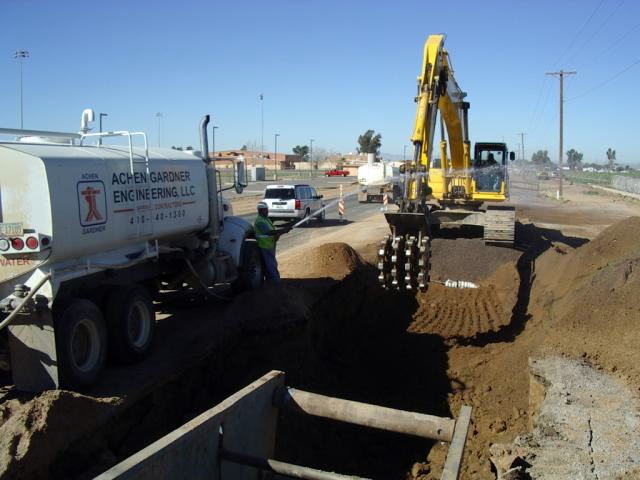 The DB team (Achen-Gardner Construction, HDR Engineering, and Stantec Inc.) sized the pipeline and completed a comprehensive alignment study early that ultimately reduced ROW acquisitions and facilitated the phased design, permitting, and construction of a 48-inch diameter ductile iron pipe (DIP) pipeline.